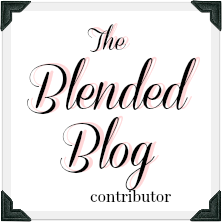 Today I'm at The Blended Blog talking about spring sweaters - shocking, I know. Hop over to see my favorites this time of year. A few years ago I bought a kimono...and didn't wear it even once. I never could figure out how to style it, and I think it was too short. So during my early spring closet purge, it got donated. BUT then I started seeing all these cute kimono looks, and decided I needed one again. Trust me, I even annoy myself sometimes with the indecision. Apparently the clothing goddesses agreed with my assessment, and this adorable kimono appeared in my next Stitch Fix box. I love the print and the length, and as soon as the weather permits, I can't wait to wear it with shorts, or over a sleeveless swing dress. 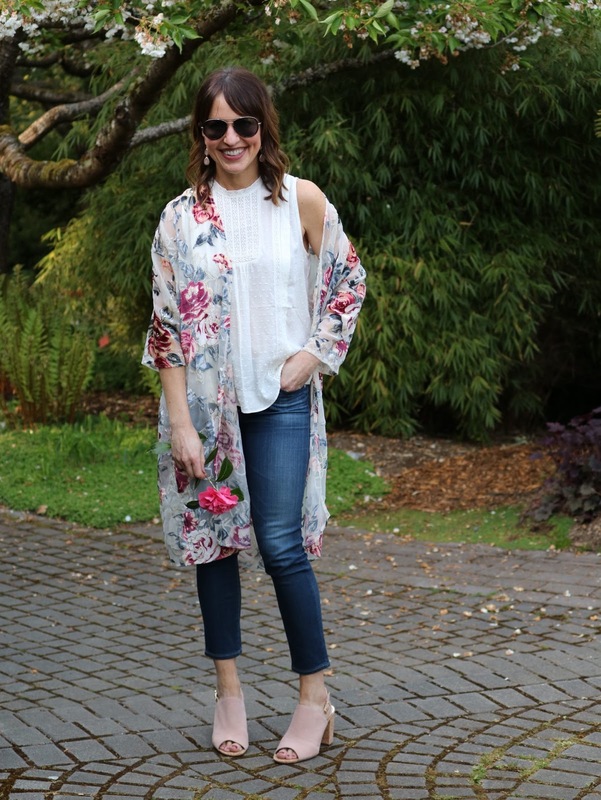 My Seattle friends Julie and Krista of Last Seen Wearing recently wrote a post about 5 Ways To Style A Kimono. This look is one of my favorites! What are your thoughts on kimonos? Yay or nay? I LOVE kimonos and I LOVE you more!! 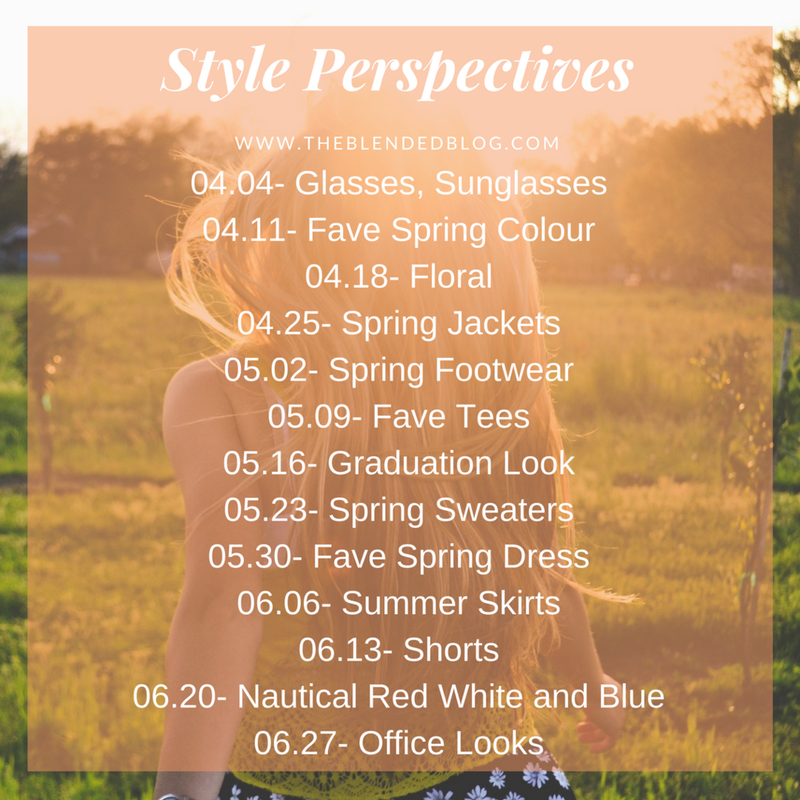 I struggle to style kimonos, too! 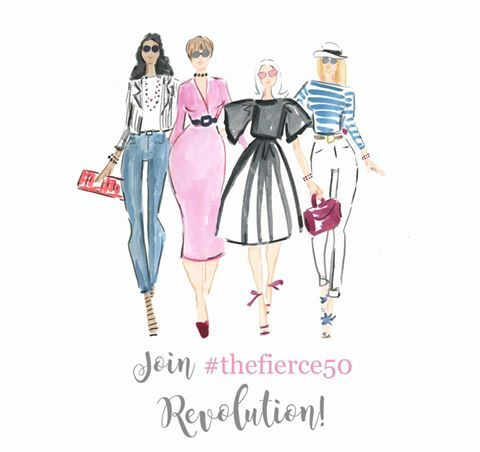 I'm heading over to check out your friend's post for some inspiration! 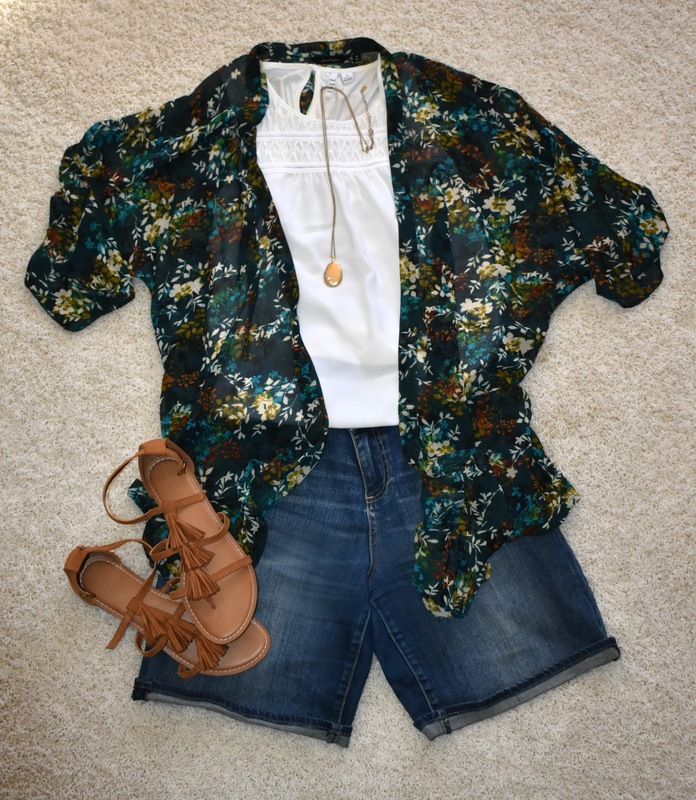 I love the kimonos---they are the perfect layering in the summer months!! I had to laugh, because I did give one away last year---it was too long on me and overpowering. So maybe that was the case with yours---we should have switched!! Although I love the "idea" of kimonos I do find them challenging to wear. I usually like to style my kimono with shorts (like you've done here) but normally if it is warm enough for shorts then I don't want to wear a kimono on top because it's too hot. I find that they aren't warm enough for cool weather but then are too hot for warm weather. Can't wait to see you in the kimono! I love them! I love the greens in that kimono! My sisters both rock kimonos. I never could because they look terrible on me and it's unfair. They're pretty cool!